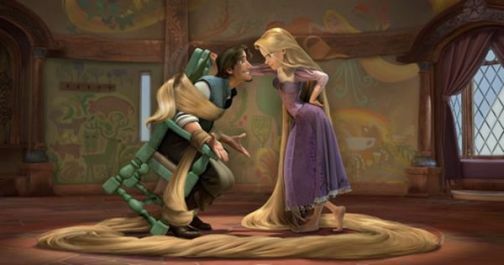 I’m extremely excited for Disney’s new movie Tangled. It’s coming from the same people who brought us Bolt, and that movie was hilarious. This new trailer, that you can see on Moviefone, is told from Flynn’s point of view. It gives you an idea of the kind of smarmy humor you’ll be able to expect for this movie. We get to see a bit more of the setup for the plot, instead of just Flynn climbing up into the tower and getting beaten with sentient hair. Check out the trailer below and see what you think. Tangled hits theaters just in time for Thanksgiving, November 24th.